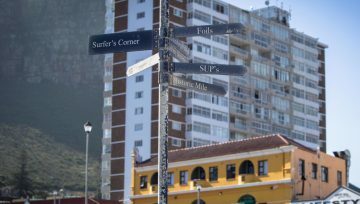 Our shop in Muizenberg offers level 1 beginner surf lessons, we will provide you with a wetsuit & surfboard and teach you the basics you need to know to get you up and riding on a wave, we will also teach you about safety in the water. 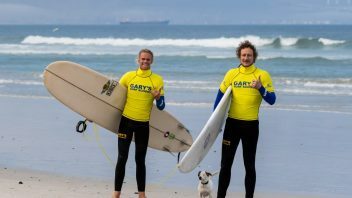 NEW, Gary's Mobile Surf School offers both beginner & intermediate transported & self-driven lessons at Cape Town's best surf spots depending on your surfing ability & wave conditions. 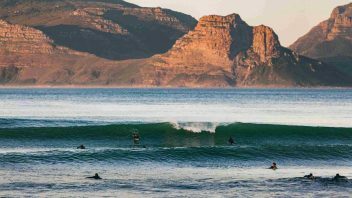 We offer Guided Day Surf Trips around Cape Town aswell as 1 Week Guided Surf Trips up the Garden Route (east coast) and 3 day guided trips up to Elands bay (west coast). 4 people required for this option! The school was founded by Gary in 1989, making us the oldest surf school in Cape Town. 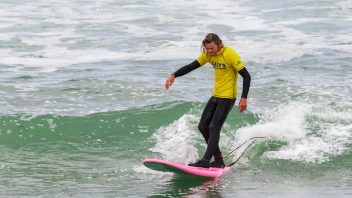 Our shop in Muizenberg offers level 1 beginner surf lessons, if you know how to stand up on a wave and want to improve your skills, our new Mobile Surf School offers level 2 intermediate surf lessons. 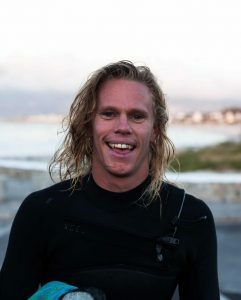 Gary's Mobile Surf School is run by Matthew, Gary's son which offers both beginner & intermediate transported & self-driven surf lessons around Cape Town depending on wave conditions & your surfing ability, whether you are a beginner or intermediate surfer, we've got you covered! Check out all the action on Gary's Surf. Wow wow wow!! 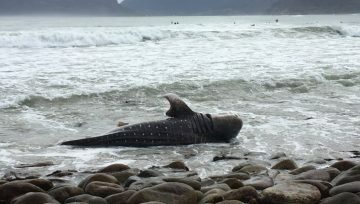 How amazing Gary’s surf school are... my daughter came out of the water injured today, not a student of Gary’s- that didn’t stop them from helping her out, bandaged her up, gave her rescue remedy and water. It would have been worse if they hadn’t helped. Thank you!Highly recommend Gary’s Surf School. They instructors are excellent and very clear on safety rules. We had a blast, thank you!! Highly recommended! My two boys aged 5 & 7 enjoyed their first surf lesson today and absolutely loved it. Thanks for being so welcoming and helpful and to the surf instructors for amazingly getting them both standing up and surfing the waves in no time at all! Watching from the beach I was quickly put at ease by the instructors diligent and safe supervision. The kids not only had great fun, but came away having experienced a wonderful sense of personal achievement. 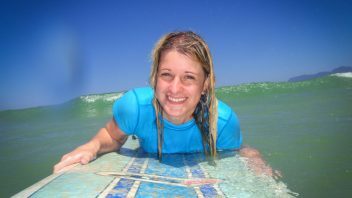 The most helpful surf school in Muizenberg! The kids faces just lights up when Gary is giving them tips and helping them out! For beginners who know zero about surfing Gary is simply the best!!! Thank you for being so awesome!!! These boys will always turn to you. What an amazing first time experience....thanks Brandon for your patience and EXPERT advice...and making the morning so much fun. Gary - you were right - was all about the fun, so much so I am coming back tomorrow. My son has been for several lessons and always has a great time. The instructors are great with kids and have loads of patience too. Gary is also easy to chat to and passionate about learning to surf. Highly recommended! 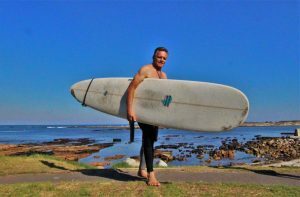 Gary is a surf enthusiast, asserts itself and his nice crew in Muizenberg since 26 years and is completely friendly & trustworthy. 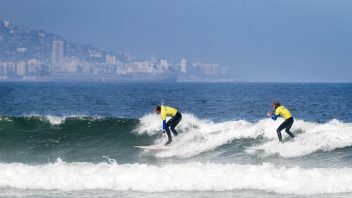 If you want to learn surfing - go there!!! 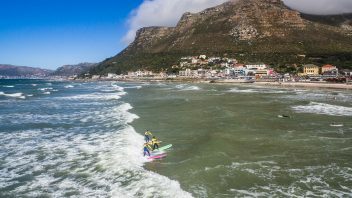 JEFFERY'S BAY WINTER FEST SET FOR 6 – 22 JULY 2019!